Legacy Barbers & Essential Pieces are giving away free barber cuts all day at IN: TRANSIT Pop Up Party. The catch? Spin the wheel to reveal your new look! Bookings are limited, first in best tressed. Essential Pieces is located as part of a ground-breaking dual-concept store within Legacy Barbers. Come check out the showroom and see their range of quality garments embroidery for yourself! When selecting embroidered initials, you have the option of choosing from a wide variety of thread colours, font sizes and locations. Make it your own today! 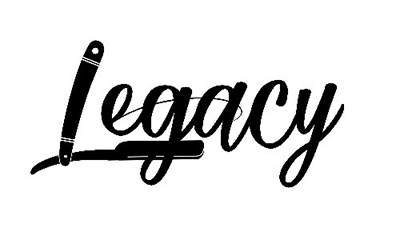 Legacy Barbers is spear-headed by Tyrell Akhavong - an extremely seasoned barber and an experienced competitor. Tyrell has been barbering and delivering the freshest fades for over 10 years and one day, he decided it was time to start his own legacy. 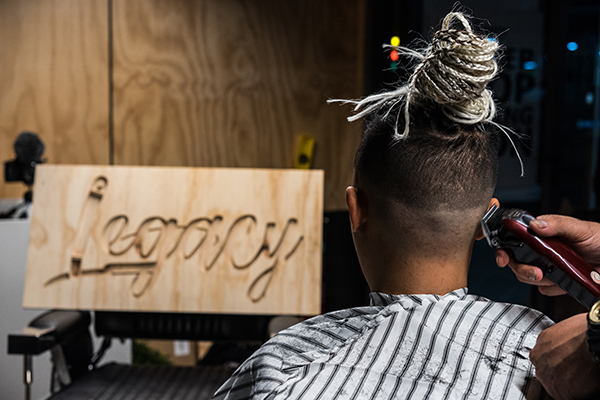 Legacy is positioned as a on-of-its kind barbershop - situated in a shipping container with a full window frontage, it promises to deliver a unique and refreshing experience where it is no longer mandatory to stare at yourself in a mirror for the entire duration of your haircut. You now have the option of enjoying a view! In addition to this, Legacy features a virtual wait list system - come on in, leave your name and phone number on their tablet and go roaming around Highpoint. You will be notified by text when you're next. Its that's simple! Legacy is part of a ground-breaking dual-concept store with Essential Pieces, a personalised clothing brand. Together, they will most certainly be making waves in Highpoint!. See what else is happening at the IN: TRANSIT Pop Up Party!